I love doing the Perpetual Page Turner's year-end survey! I don't keep stats, so moving straight onto the questions. For her fab post, check here. This Song Is (Not) For You by Laura Nowlin has to take this; I adored the central love triangle here, and seeing asexual representation made me so, so happy. I started the year by finally reading Treasure Island and, being familiar with the story from seeing films and plays, was looking forward to it - but it never really clicked for me. I wouldn't necessarily say I was surprised by the awesomeness of Unboxed, as I've always known Non Pratt is exceptional, but I think the amount of character development she packed into a novella is really incredible. I think I'm probably claiming Alice Oseman's stunning Radio Silence here, although there have been SO MANY incredible bloggers pushing this one super-hard that I'm not sure I can take any particular credit for it. Series starter - Emily Skrutskie's The Abyss Surrounds Us features fabulous world-building, an incredible f/f couple, and a superb plot. Sequel - Dahlia Adler's Right of First Refusal is one of my favourite ever NA books, a gorgeous (and steamy!) romance with an amazingly strong cast. Also nearly all of the supporting characters are queer, yay! Series ender - And A Happy New Year...? was the perfect farewell to Holly Bourne's superb Spinster Club. Outside of YA, Daniel Abraham brought his magnificent The Dagger and the Coin sequence of epic fantasy novels to an end with the best yet, The Spider's War. So many! 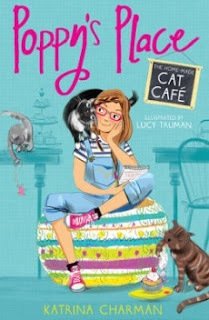 In addition to authors mentioned for the answers to other questions, I thought Katrina Charman's two books in the Cat Cafe series were really lovely and I'm excited to read more from her. They're also gorgeously illustrated by Lucy Truman - definitely my favourite illustrator discovered this year; her art for both the Cat Cafe books AND for the Egmont reissues of my beloved Trebizon series was stunning! I'm not a time-travel fan at all generally but The Girl From Everywhere by Heidi Heilig and Lauren James's The Last Beginning both completely blew me away. 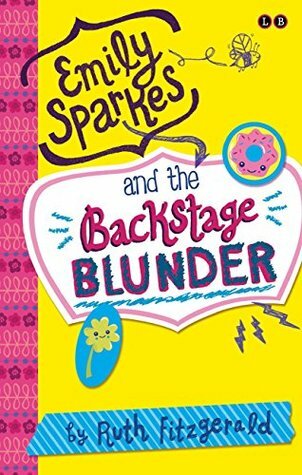 I think this will probably be Super Awkward by Beth Garrod because it's one of the few books which made me laugh on every page, and I feel that I may need cheering up at points in January, especially. I think Lisa Horton is a fantastically talented illustrator and designer and with it still being comparatively rare to see a BAME character on the front of a book, her cover for Susie Day's adorable The Secrets of Billie Bright was a brilliant one! 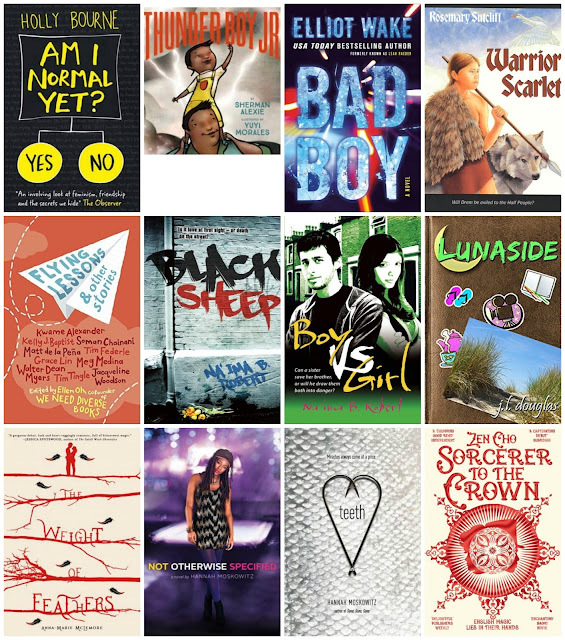 I really do want to try and limit these to one pick per question, but you CANNOT make me pick between Meredith Russo's Amanda in If I Was Your Girl - the first #ownvoices trans narrator I've read in a YA novel - and Lada Dracul, the lethal and brilliant main character (I was about to say heroine; this may be a stretch!!) of And I Darken by Kiersten White. I'll say The Hate U Give by Angie Thomas - Starr's voice is stunning and it's an incredibly important read. I think Juno Dawson's Mind Your Head - written with advice from Dr Olivia Hewitt and illustrated by Gemma Correll - takes this; it's an incredibly frank and important look at mental health. I borrowed Love Is A Number by Lee Monroe back in something like 2014 from Debbie and FINALLY gave it back to her a week or so ago. Oops. I can't think of anything non-spoilery!! 16. Shortest & Longest Book You Read In 2016? Shortest was probably Non Pratt's gorgeous Unboxed, her Barrington Stoke debut. I love Barrington Stoke and this is one of the best of theirs that I've read! Longest - this is where I wish I kept records!! 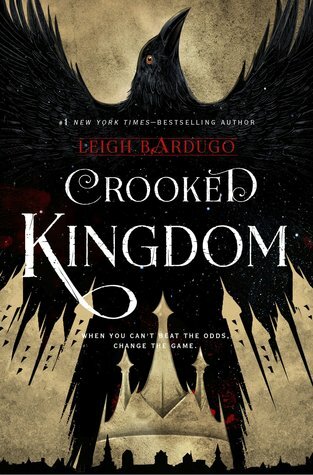 I'm guessing maybe Leigh Bardugo's epic, awesome Crooked Kingdom. I hate spoilers so much that I can barely answer this but one moment in particular in Crooked Kingdom STUNNED me. Crooked Kingdom yet again for me here, with Jesper/Wylan being my favourite of the MANY awesome ships there. Two trios of friends were incredible - Holly Bourne's Spinster Club, and the three girls at the heart of Sara Barnard's Beautiful Broken Things (which I maaaay have read in 2015, I think, but can't leave out as they're wonderful!) I also found the platonic friendship between Frances and Aled in Radio Silence to be utterly brilliant. So many, and trying to go for a bit of variety! 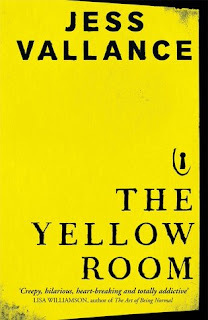 Jess Vallance's Birdy was an incredible debut; this year's The Yellow Room was just as fantastic. 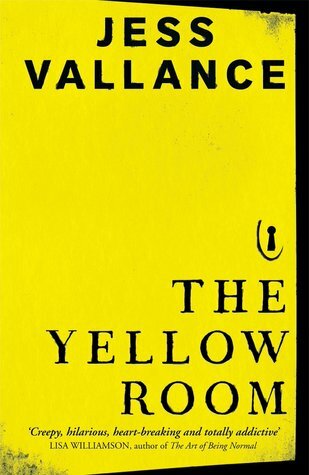 A super-creepy but very moreish read. My friend Faye persuaded me to read The Number One Rule For Girls by Rachel McIntyre, which I hadn't planned on picking up, and I thought it was really awesome! SAM. 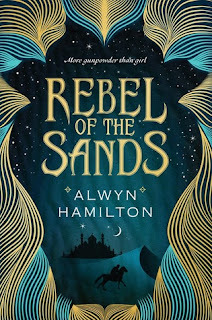 For those of you yet to read Traitor To The Throne, Alwyn Hamilton has given us my favourite supporting character since Leigh Bardugo's Sturmhond. Again this is ridiculously hard to choose from! 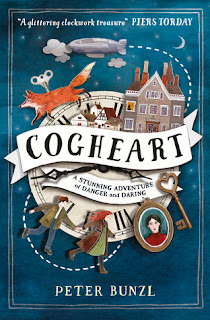 I've mentioned lots of them in other contexts, as well I want to give a shout out to Peter Bunzl's Cogheart, an incredibly entertaining steampunk MG novel - I'm super-excited for the upcoming sequel Moonlocket! I usually think of fantasy novels or sci-fi ones when talking about great settings, but I actually think two of the best of the year for me in 2016 were contemporary novels. Eden Summer, by Liz Flanagan, brings a small Yorkshire town perfectly to life, while Emery Lord does the same for an American small town in When We Collided. Both are places I'd love to live! 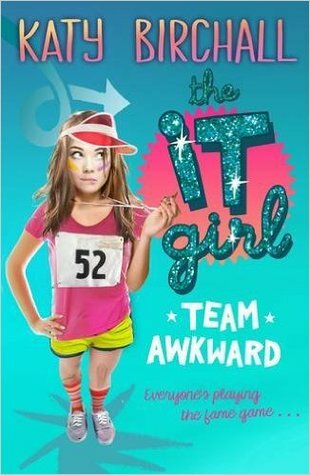 Super Awkward, as mentioned above, was hilarious, as were Perdita and Honor Cargill's Waiting For Callback and Katy Birchall's It Girl sequel Team Awkward. 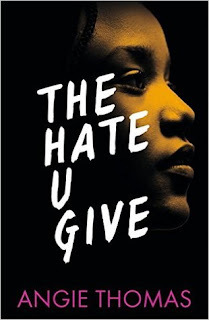 The Hate U Give by Angie Thomas - with angry tears about how terrible people can be, but also hopeful ones about how Starr will inspire readers to find their voice. Lots above that count for this too - in particular the three books I mentioned for the answer to question 25 all deserve to be huge! 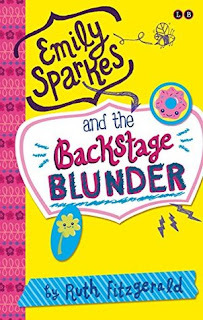 I also wish more people were reading Ruth Fitzgerald's Emily Sparkes series, which ties with Susie Day's Pea's Book (and spin-offs) for my very favourite MG contemporary books of recent years. 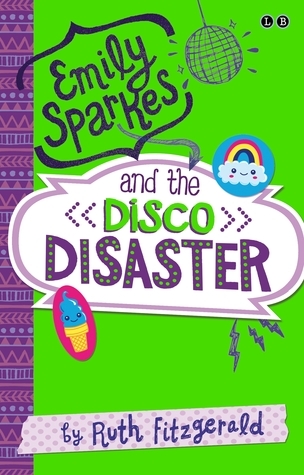 Emily Sparkes and the Disco Disaster and Emily Sparkes and the Backstage Blunder were both packed full of laughs. Has to be Courtney Summers's All The Rage, and Angie Thomas's The Hate U Give - two incredibly powerful novels. 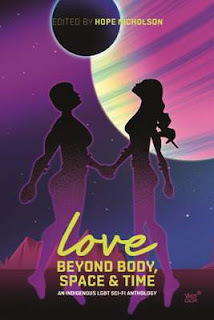 I am halfway through Love Beyond Body, Space And Time: An Indigenous LGBT Sci-Fi Anthology. Prior to this year most of the #ownvoices books I'd read had been contemporary novels; there's been some great sci-fi this year and as I'm trying to read more books by Native peoples this is a wonderful way to sample some outstanding writers. Speaking of anthologies, I'm also reading The Good Immigrant (edited by Nikesh Shukla) which is an incredible essay collection by BAME writers - including my brilliant friend Wei Ming Kam; great to see her in print! My Furry Bookshelf - blogging about books and animals - is very cool! I haven't reviewed that much, but I really liked the one I wrote about Finding Audrey by Sophie Kinsella. I posted about the last 3 years and really enjoyed the chance to write about how amazing it's been and say thank you to some wonderful people. I was incredibly lucky and was asked to chair a panel at Waterstones Piccadilly with fantastic authors Lisa Williamson, Non Pratt and Lucy Sutcliffe! See above! But also YALC, always fabulous, and winning the Champion of Social Media award at YA Shot, where I also got to celebrate with my amazing friend Debbie, who won Champion of YA! I've been super-busy a lot of the time and HAVEN'T managed to do a good job of taking it easy, meaning I've been incredibly tired quite often. Next year I need to do better! I posted with my first thoughts on Litsy, which got far more views than most of my posts do. I wrote a post on friendship in and out of books which I was kinda hoping would be more popular. I'm not sure if Safe Space counts as bookish-related but I THINK it does as most people involved are book bloggers. And they are all completely wonderful people so I definitely need to yell about it here! I swear I will FINALLY read Orangeboy by Patrice Lawrence, which looks incredible! 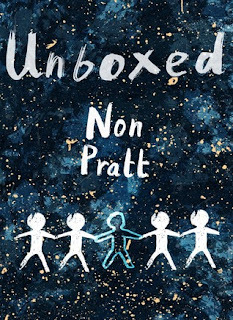 Has to be Truth Or Dare - Non Pratt is one of my favourite authors, AND there is ace rep - yay!! Lots, most of which are mentioned elsewhere! 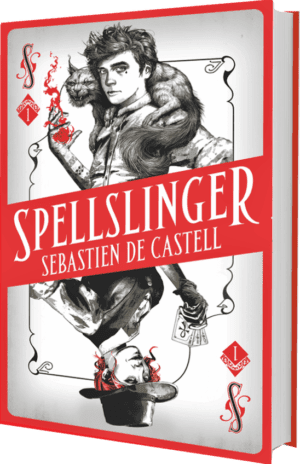 Sneaking in a YA debut by an established adult author, I'm a big fan of Sebastien De Castell and he showed at Nineworlds that he was incredibly knowledgeable about YA - so I'm very excited for Spellslinger! Super-excited for the Waiting For Callback sequel, Take Two, from the fabulous mother-daughter duo of Perdita and Honor Cargill! Read and post more, and keep track of what I've read on Goodreads, but also stress less about it. Hopefully it'll happen, if not oh well. My new (hopefully weekly!) links recap format continues! I'm a day early, because I wanted my year-end survey post to go up on New Year's Eve. I keep finding awesome Christmas-related posts which I want to share - today will probably be the last time any of them make it in, I think. This Guardian piece by Nikesh Shukla on making his mum's special tandoori chicken after she died was incredibly moving. Four fabulous authors - Laurie Penny, Roz Kaveney, John Scalzi and Jo Walton - wrote an incredible piece for Uncanny Magazine, A Trump Christmas Carol. I also really loved Leah Schnelbach's piece for Tor.com about A Charlie Brown Christmas. I'm still reading the Den Of Geek top 100 Christmas episodes, but I'm loving it so far! And the Telegraph talked to Chris Riddell about the joy of reading at Christmas. Really moving pieces on two of the celebrities who've sadly passed away recently, with The Guyliner writing about George Michael for GQ, and Anne Thériault tweeting about why Carrie Fisher's role of General Organa was the most important Leia for her. And Laurie Penny wrote a New Statesman piece looking back at 2016 and the people we've lost during it. Also looking back on this year, Pitchfork had a fascinating piece on the year in streaming music. On Twitter, Tess Sharpe's thread of lessons she's learned about writing is AMAZING! I love a capella music so new Broadway show In Transit sounds amazing - I hope it makes it to the West End! Great piece on it in the New Yorker, with Jia Tolentino talking to creator Kristen Anderson-Lopez about it. For Tor, Alex Brown wrote a fabulous piece on winter TV. I've started watching Black Sails since reading this piece and am hooked already! I also really loved this Daily Beast interview with the outstanding Viola Davis. I thought this USA Today piece about Maddie Dalton, a transgender teen in Kentucky, was a great read. As was this Book Riot piece on Kim & Kim and the importance of transgender narratives in comics. For Buzzfeed, Jesmyn Ward wrote about the experience of Black Southerners, and how America finally saw it in 2016. If you want books that are out at the moment, rather than waiting for next year, great contemporary recommendations at YA Interrobang. And there's a great piece on Vox about Marvel comic Vote Loki, which sounds amazing! Finally, Grace wrote an incredible piece on being unhappy. Somewhat incredibly I blogged every day this week! As part of my Christmas present to Debbie, I FINALLY gave her the top 10 sports books post I've been promising her for months. I posted about blogging - looking back at 2016, and forward to 2017 - and on organisation. And yesterday, I launched a diverse books giveaway which I'm excited to see people entering! As a huge fan of diverse books, I love buying them. However I have a real issue looking around my flat because I have barely ANY space! I am hugely lucky that so many fabulous publishers are kind enough to send me some great books, but this means they accumulate faster than I can read them. So I figured that to spread the love for diverse books and to pass on the generosity so many people have shown to me, I'd try running a few giveaways where I can buy the books from The Book Depository or a similar site and get them sent directly to the winner. I'm going to run the first one starting today and finishing on Saturday 14th January, and then run a few more later in 2017. For each one, I'll run via Twitter and entering will be fairly simple - RT my tweet, and reply to my tweet saying which of the ten named books you'd like to win. First selection of books are below. Sorcerer to the Crown by Zen Cho - Highly recommended by my friends Ming and Charlie, who have exceptional taste. Zen is an awesome author (I loved her story The Terracotta Bride) and this book, which is getting comparisons with Georgette Heyer and Jane Austen with added magic, sounds truly incredible! Bad Boy by Elliot Wake - Elliot's last two books, Black Iris and Cam Girl (written as Leah Raeder) are absolutely superb new adult novels - dark, twisted, and phenomenally well-written. I haven't yet read his newest book - about a transgender guy who's a secret enforcer for vigilante group Black Iris - but I have no doubt that it's amazing. Am I Normal Yet? 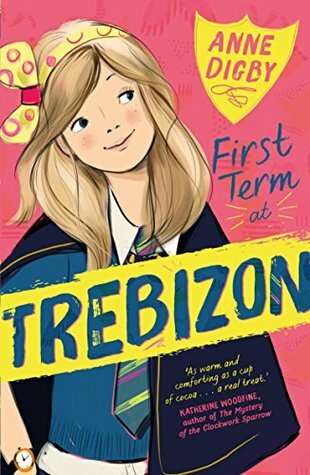 by Holly Bourne - Holly Bourne's Spinster Club series is one of my absolute favourites of recent years (if you've read AINY? 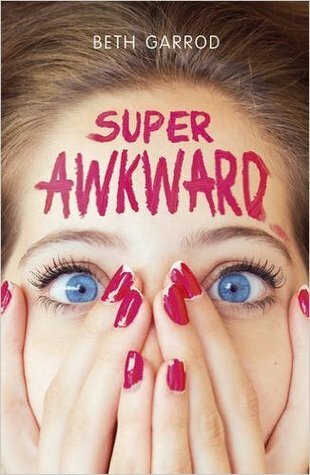 feel free to choose another book in the series) and this first one is one that hit home especially hard with me because of the way it portrays anxiety so realistically, in addition to OCD. I love the positive portrayal of therapy and medication, and the strong platonic friendship between the three central characters. Lunaside by JL Douglas - This contemporary, featuring a lesbian love triangle at summer camp, gets lots and lots of praise. It also features an ace character which is something I'm desperate to see more of in books! Warrior Scarlet by Rosemary Sutcliff - Most famous for The Eagle of the Ninth and its sequels, Sutcliffe also wrote a number of other classic children's stories. Herself a sufferer from Still's Disease, she wrote several books about children with physical disabilities and Warrior Scarlet, about a Bronze Age boy with a withered arm, sounds superb. 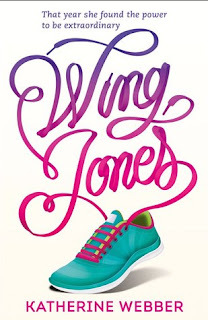 Flying Lessons and Other Stories, edited by Ellen Oh - Ellen Oh is co-founder of the wonderful We Need Diverse Books campaign, and has fantastic taste. 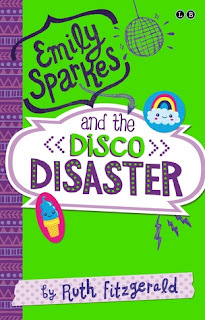 So just her name would be enough to get me excited about this anthology - releasing next week - but add in authors like Kwame Alexander, Jacqueline Woodson and Matt De La Pena, and I can't wait to read it! Thunder Boy Jr by Sherman Alexie, illustrated by Yuyi Morales - Alexie is someone whose YA books I was aware of, but I've recently heard fabulous things about his new picture book for under 5s. Son of Thunder Boy, Thunder Boy Jr is desperate for his own name, but wants to avoid upsetting his father by picking one. 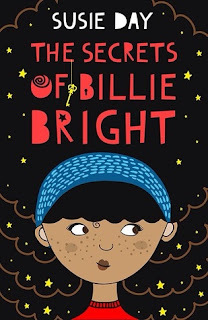 This sounds super-heartwarming and judging from the cover Yuyi Morales is an incredible illustrator! Anything by Na'ima B Robert - I am a huge fan of Robert's stunning Black Sheep, a Romeo and Juliet style romance between badman Dwayne and university-bound Misha, daughter of a councillor who wants her to steer well clear of the world of gangs. There's a great portrayal of Islam in this book which is one reason I've been recommending it strongly - but Robert has written several other superb novels so you can pick any of them to enter. Either book by Anna-Marie McLemore - I am currently reading The Weight of Feathers, McLemore's stunning debut about a pair of travelling families performing in rival shows, and the romance which blooms between two of their members. I'm not far in but I'm already completely in love with her gorgeous writing style. I hear When The Moon Was Ours is also incredible. Anything by Hannah Moskowitz available on TBD - I've read several of Hannah's and they're all great - Not Otherwise Specified, a wonderful read about a black bisexual ballerina recovering from an eating disorder, is a favourite of mine. I also hear Teeth is superb, a 'modern day fairy tale'. So, are you excited? And more to the point, which are you MOST excited for? To enter, simply RT the below tweet and reply to it with the title of the book you most want to win. I find being organised incredibly difficult, and it's been getting me down recently, so I'm aiming to make 2017 a year in which I do much, much better at it! As mentioned a few days ago I'm definitely going to try and keep track of my reading better this coming year. I started using a fab spreadsheet earlier in 2016 but it was perhaps a bit too detailed for me and I gave up on it in about May. For 2017, I've downloaded the Goodreads app (having avoided GR for AGES for various reasons) and will be trying to keep on top of what I'm reading as I'm reading it and when I finish it. I'll also be aiming to upload reviews there and on Litsy around the time of a book's release where possible (if I have an ARC) or soon after I've read it otherwise. Fingers crossed, I WILL manage to write Litsy reviews of everything I read and enjoy next year! To help with the blog I'm looking at Google Keep and Google Sheets. I started using Google Keep a month or so ago after my friend Julianne recommended it and it's been really awesome - in particular making my Twenty Things I've Read feature so much less time-consuming! Rather than go through Tweetdeck once a week as I used to and see what I've RT'd or tweeted about, now I paste links into a list in Google Keep when I tweet them. Then when it's time to write the post, I open up keep.google.com and it's there ready for me to copy and paste into a blog post and write around it. And to help with life in general I've downloaded the Habitica app - Your Life The Role Playing Game. This looks really fun; you can set yourself targets and gain experience points for checking them off. So I've set some blog-related targets like uploading reviews and taking photos for Instagram/Litsy, and others for things like drinking enough water in a day, going to bed (rather than falling asleep in my chair, a terrible habit of mine!) Oh, and after taking my friend Julianne's fabulous Planning Your Work Wardrobe course I've started planning out what I'm going to wear ahead of time and it's amazing how much time it's saving me in the mornings! I'm also planning on making better use of Google Calendar (for some reason I've always used the web version of the calendar before but I've just downloaded the app and I'm loving it!) And after working really hard on it yesterday, I managed to clear my inbox COMPLETELY on Gmail by moving things into folders and deleting stuff that was no longer necessary! Finally I'm hoping to make better use of my time. I've spent much of the last two months playing Two Dots on my journey to and from because it's incredibly addictive - but also because I normally read at that time and I was going through a horrendous slump. I THINK (fingers crossed!) that the slump may be over for now so I'm looking forward to reading a lot more in the coming months! What are some of your best tips for organisation? Do you consider yourself to be super-organised, or do you struggle like I do? I change my mind on how to do this - whether to count just books published this year or everything, whether to include re-reads or not, and other things like that - every year. For this year, I'm including absolutely everything I've read (so a few aren't quite out yet - sorry!) and I'm throwing in 10 short stories too, in a separate list. For both lists, I'm describing them as Ten Of My Favourites rather than an actual Top Ten - because as ever, my tastes change a LOT and there are some amazing books which haven't made it! Study machine Frances makes a proper friend for the first time in the reclusive Aled, who is the genius behind the podcast she loves. When their friendship breaks down she's devastated, but she also has to cope with the secrets from her past, while he fights even darker things at university. 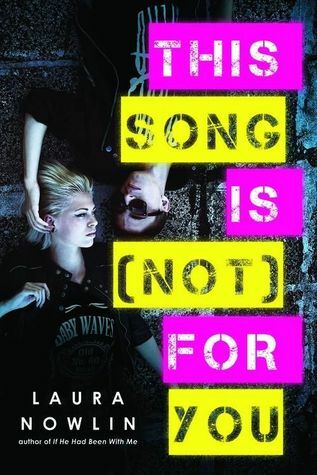 I love the main two characters here - a brilliantly-written platonic friendship between a guy and a girl is NOT that easy to find in YA, sadly, but this absolutely delivers. There's a hugely diverse cast (yay for ace spectrum rep!) and Alice Oseman captures the pressure of sixth form and of university perfectly. She's also done an amazing job of showing the positives and negatives of internet culture, while Frances's mother is one of my favourite parents in YA - a fantastically supportive character. Bandmates Sam and Ramona are in love with each other, but neither has got around to telling the other that yet. 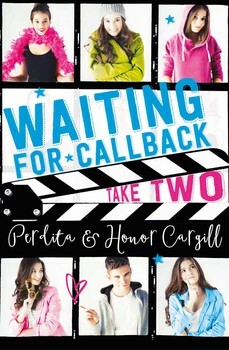 Then new boy Tom joins their band and Ramona falls in love with him - but she still loves Sam too. How can they work this out? Oh wow oh wow oh wow, ace representation again, an AMAZING love triangle, and three incredibly likeable main characters. This completely blew me away. I adored the way the central trio actually talk through things, I liked the relationships they had with their parents, and overall this stands out as pretty close to being unique in several ways. 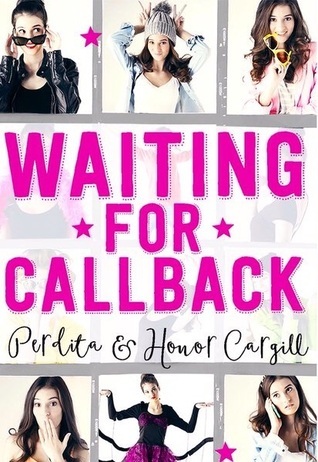 (New Adult - the only title on this list that isn't YA or MG.) Lacrosse player Cait Johannssen is stunned to find that her roommate's new boyfriend is Mase, who broke her heart at sports camp two years earlier. They agree to keep their past a secret but as the two see more and more of each other this gets ever harder. Super hot, super intense. I love the central pairing here and there's a fabulous supporting cast (who are nearly all queer; lots of awesome representation!) Both the romance and the sports plotlines are incredibly well built and I was cheering for Cait and Mase all the way. 18 year old Amanda is pretty and popular and makes friends as soon as she starts at her new school. But Amanda was previously called Andrew and she's afraid that details about her past will leak out, while she's also trying to navigate a difficult relationship with her father. Can she keep her secret? The first #ownvoices YA book I've read by a trans author, this is a gorgeously sweet coming of age story. Meredith Russo says in her author's note that she intentionally gave Amanda an easier journey than many trans people have - she's conventionally attractive, passes easily, and has a family trying hard to be accepting. However it's still a must-read; I adored Amanda and her friends and it's a wonderful and warm-hearted book. Four friends meet up at their old school to open letters that they - and a fifth, who has recently died - wrote several years ago. In the course of the evening, the reunited group of friends learn a lot about each other. As ever, Non Pratt packs a real punch with another wonderful contemporary story. There is more character development here than you'll see in many much longer novels and the story is incredibly moving - it had me near tears when I read it in one sitting (during a break between panels at YALC.) For anyone who's had friends and grown apart from them (and, really, who hasn't? ), reading this will bring back a lot of memories. No plot summary to avoid spoilers for book 1. Leigh Bardugo does the near-impossible and improves on the almost perfect Six Of Crows. This sequel has an even more gripping plot, the character dynamics between the Crows are even more compelling, and my heart felt like it never left my mouth while I was reading it. I ship several pairs of characters super hard here so I was desperate to see whether they'd get together as well as whether Kaz and his crew would outsmart their enemies. Completely and utterly gorgeous MG - the best MG I've read in 2016 - about dragons, chocolate, friends, family and finding your passion in life. I read this one with a massive smile on my face right the way through, and adored Aventurine and new friend Silke. I'm also left in awe of Stephanie after the ending - close to the end I couldn't see how she could wrap things up quickly enough but she pulled it off perfectly. I was sold on this by Gossip Girl meets House of Cards comparisons and wow, does it deliver! Antihero Reshma is an utterly amazing character with an incredibly strong voice and, while she's often awful, you can see exactly WHY she does things. It's a sharp and witty read, and behind the humour there's real depth as it looks at tough topics including institutional racism and the abuse of study drugs. After an explosive ending to book 1, we're plunged straight back into the action here. 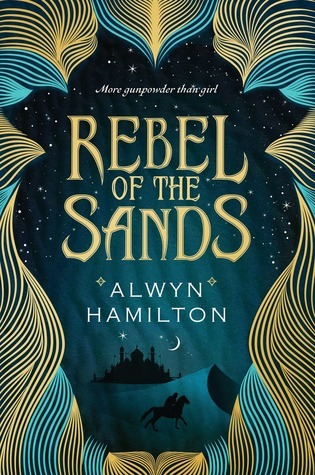 Amina is an amazing heroine - brave and resourceful, but left doubting herself here as she starts to wonder if the rebellion will really be the best thing for her country. Stunning supporting characters, with newcomer Sam possibly stealing my heart from Leigh Bardugo's Sturmhond. The shades of grey characterisation stands out as superb! Starr, torn between two worlds - the poor neighbourhood where she lives and the rich suburban high school she attends - finds both of them forever changed when her best friend is shot by a white police officer. As the only witness, and knowing that he was unarmed and posed no threat, Starr has to figure out what to say with her community potentially about to be torn apart, and death threats coming her way. A compelling and heartbreaking story of courage, standing up for what's right, fighting prejudice and the power of community. I fell hard for MC Starr, her brother and father, and the rest of the characters. There's an intense, justified, anger here - particularly on a devastating final page - but also moments of joy, and an optimism that things CAN get better if enough people use their voice. I hope readers are inspired to follow Starr's lead. One of the very best books I've read for years and a massively important read. Emily & The Detectives by Susie Day (from Egmont's Mystery & Mayhem collection) - fabulous Victorian detective story; Emily is a brilliant heroine. Superior by Jessica Lack - super-cute m/m romance between a supervillain's apprentice and a superhero's intern. One of my favourite romantic pairings of the year. The Magic of Midwinter by Amy Alward (from Simon & Schuster's Winter Magic collection) - in a book set in the world of her Potion Diaries series, Amy Alward gives us a gorgeous tale of a girl trying to find the perfect present for her friend. Family You Choose by Cat Clarke (from Stripes's I'll Be Home For Christmas collection) - Effie goes to the Annual Waifs and Strays Anti-Christmas Dinner, accepting her friend AJ's invitation instead of her 18th birthday party as she can't face her family after being dumped by her girlfriend. This is, surprisingly given how often Cat breaks my heart with her writing, super-sweet! Homo For Christmas by Juno Dawson (from Stripes's I'll Be Home For Christmas collection) - Another gorgeous Christmas story about a guy going home to tell his mother that he's gay, so that in future he can bring his boyfriend with him. Undead Philosophy 101 by Stephanie Burgis - Stephanie Burgis is one of my very favourite short story writers and this one, about a girl trying to rescue her roommate who's been twice bitten by a vampire, is exceptional. Grumpy Amanda is a stunning protagonist and the world-building in such a short story is really outstanding. Legends Are Made, Not Born by Cherie Dimaline (from Bedside Press's Love Beyond Body, Space and Time: An Indigenous LGBT Sci-Fi Anthology) - Really sweet and lovely story about a young child being raised by Auntie Dave, a two-spirit, who teaches them about two-spirit traditions. Fighting Demons by SL Huang - Stunning sequel to Hunting Monsters sees two protagonists with very different relationships with their mothers come together and influence each other. Oh, there's also an imprisoned snake demon and an army coming to the rescue!